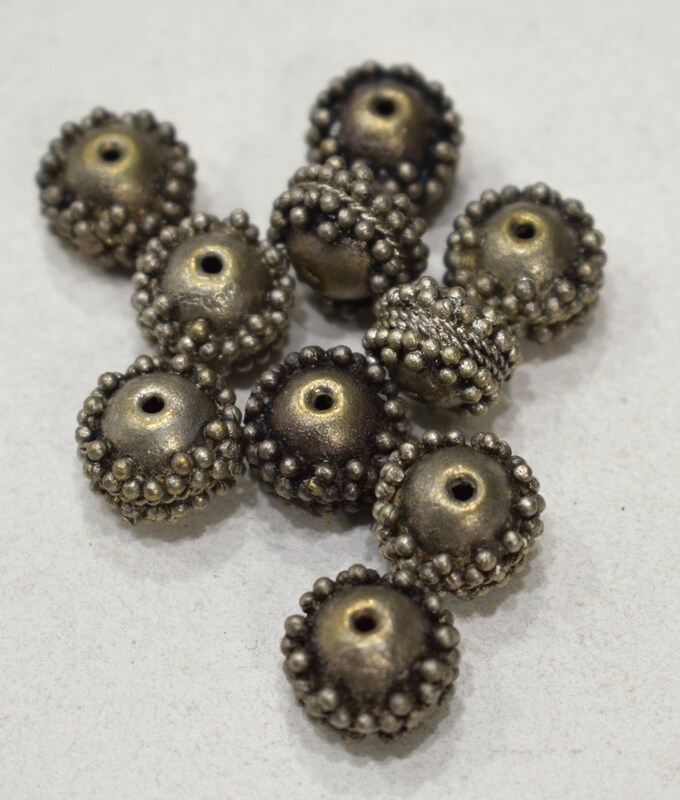 These are wonderful Old Nepal Silver Granulated Round Beads that come packaged in a quantity of 10 and will be wonderful in all your creative jewelry designs. These beads are absolutely stunning! I love the fact that they’re lightweight. The detail and size are exactly what I needed for my jewelry designs, and the shipping is fast. I recommend your store often. Thank you! I love the size of these, and the color. Amazing shop owner. Always fast shipping. Arrived safe. Thanks so much.